Swede (Ewan McGregror) and Dawn (Jenniger Connelly) have pretty much the perfect 50s life: he is successful, she is beautiful and they married out of love, of course. Their daughter Merry finally completed their life, despite her stutter. But now Merry (Dakota Fanning) is a teenager and she’s rebelling against everything. Swede and Dawn find out just how much she’s rebelling when they’re confronted with the suspicion that Merry was involved in a bombing that ended fatally. Merry herself disappears and Dawn and Swede are left desperately trying to piece together what happened to her. 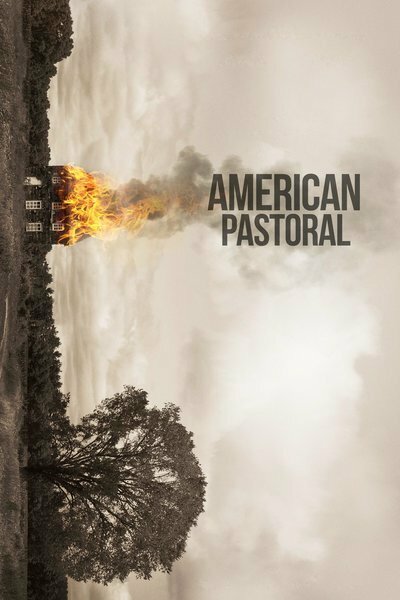 Given that American Pastoral was based on a Roth novel, I didn’t set my hopes for the film too high, but in a moment of weakness prompted by McGregor’s prettiness, I decided to watch it anyway. I shouldn’t have bothered. Belle (Emma Watson) lives in a small village with her father Maurice (Kevin Kline), an inventor. Her life wouldn’t be so bad if the local library had more books and if village beau Gaston (Luke Evans) wasn’t constantly harrassing her with marriage proposals. Then one day, Maurice doesn’t return from the market as planned. 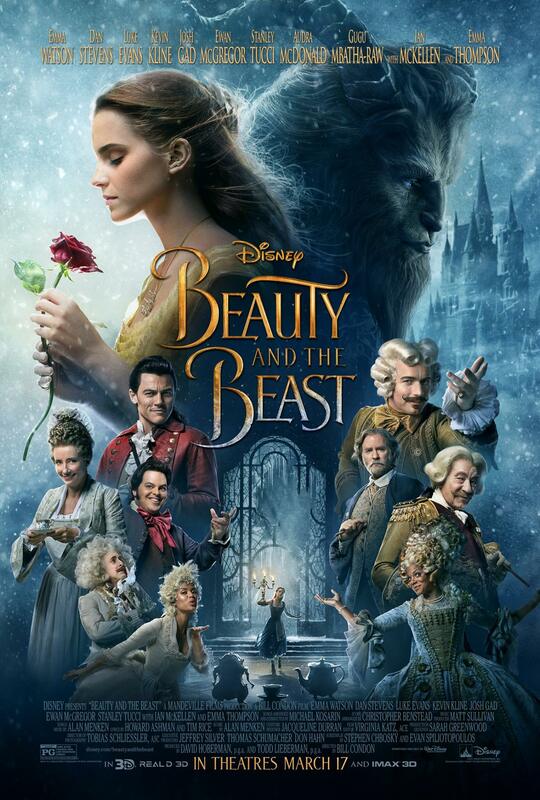 When Belle sets out to find him, what she finds is an enchanted castle, where a Beast (Dan Stevens) is holding her father captive. Fearless as she is, Belle takes Maurice place. And she might just be what the Beast needed to break the curse that weighs on them all. This live-action version of the film isn’t strictly necessary and there were a couple of things that really didn’t go all that well, but the film was nevertheless enjoyable and managed to capture the magic of the animated version at least in part. 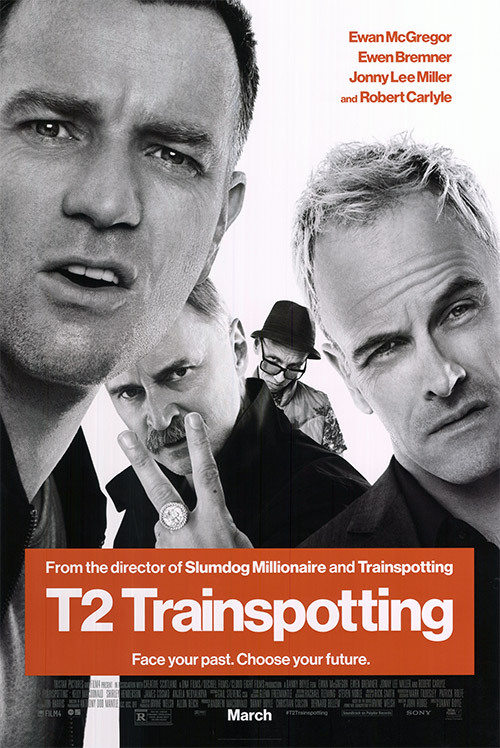 Twenty years after the events of Trainspotting, the now clean Mark Renton (Ewan McGregor) returns to Scotland for the first time. He wants to see his family and to catch up with Spud (Ewen Bremner) and Simon (Jonny Lee Miller), though he’d rather not see Begbie (Robert Carlyle). He suspects that Begbie is still very angry with him from when he left. Simon is angry, too, but once they get over the inital anger, they are back to making plans of how to make their lives more than it is. But the past can’t be left behind that easily. T2 Trainspotting captured most of the mood of Trainspotting perfectly, although it does lack some of the inescapable energy of the first one. That being said, I’m very content with this sequel so many years later. 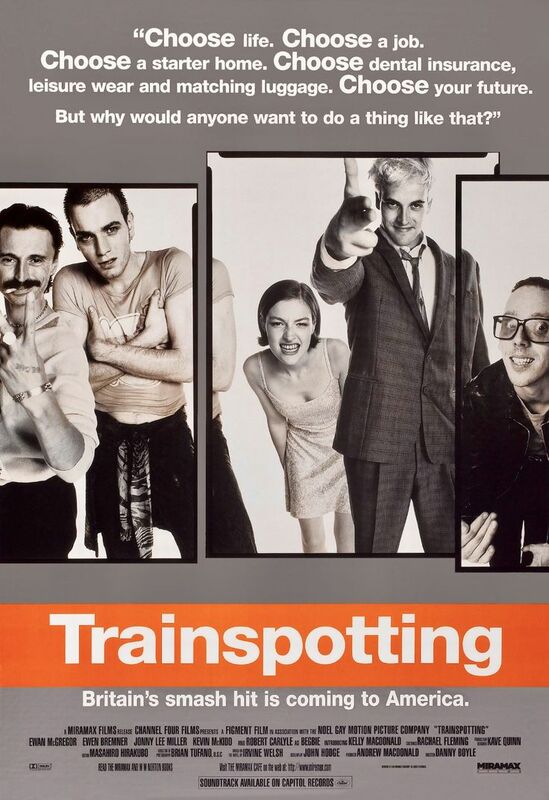 Renton (Ewan McGregor), Sick Boy (Jonny Lee Miller), Tommie (Kevin McKidd) and Spud (Ewen Bremner) are friends. At least as much as you can be friends with anybody you share a heroin addiction with. And don’t necessarily like each other all that much. As they tumble through Edinburgh, alternatively looking to buy the next hit and to kick the habit altogether, their paths cross with the same people over and over again, people like the violent Begbie (Robert Carlyle). They all struggle with their own problems but at least they are not stuck in the wheel of capitalism. Or that’s what Renton tells himself. It’s been many years since I saw the film (although some images have burned themselves into my retina, they are that present in my head). Re-watching it now, I’m still very much taken with it. It’s a really great film, despite a couple of weaknesses. Miles Davis (Don Cheadle) hasn’t released new music in a long time. In fact, he was barely seen in public. That’s why journalist Dave Braden (Ewan McGregor) is dead set on profiling him to find out what’s going on and to give his own career a boost. He manages to find his way into Davis’ home and gets quickly involved in Davis’ chaotic, drug-fueled life and his desperate search for the master tapes containing his new music that were stolen from him. 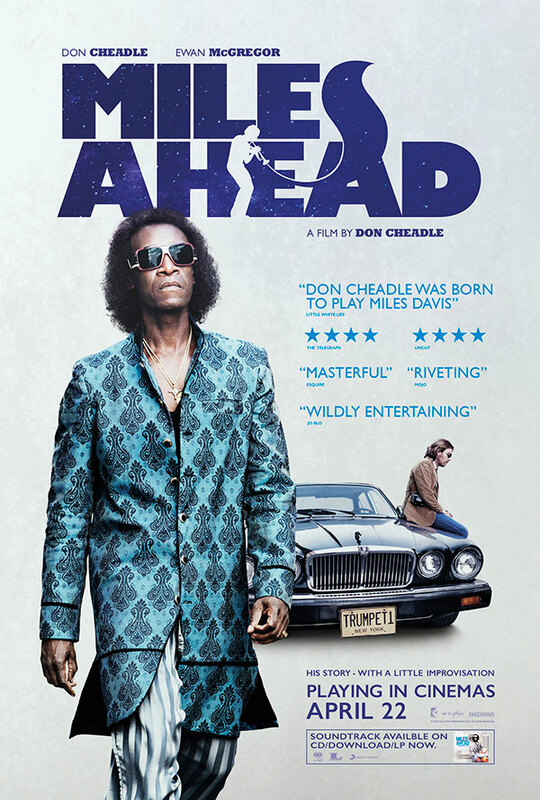 Miles Ahead takes a very liberal approach to Miles Davis’ life, landing somewhere between crime story and biopic and working as neither. I hated almost every second of it. Perry (Ewan McGregor) and Gail (Naomie Harris) are on holidays together in an attempt to get their relationship back on the right track. But things are tense. That’s when they meet Dima (Stellan Skarsgård), a rich, jovial Russian. He invites them for drinks and Perry accepts. Dima takes a liking to him and invites him to a party. It is there that he reveals that he works for the Russian mob and that he needs Perry’s help to deliver data to the UK – data that would secure Dima and his family refuge from the repercussions of the mob. Perry agrees to help, but when he hands over the data to agent Hector (Damian Lewis), the role he and Gail both have to play in the affair is unexpectedly far from over. 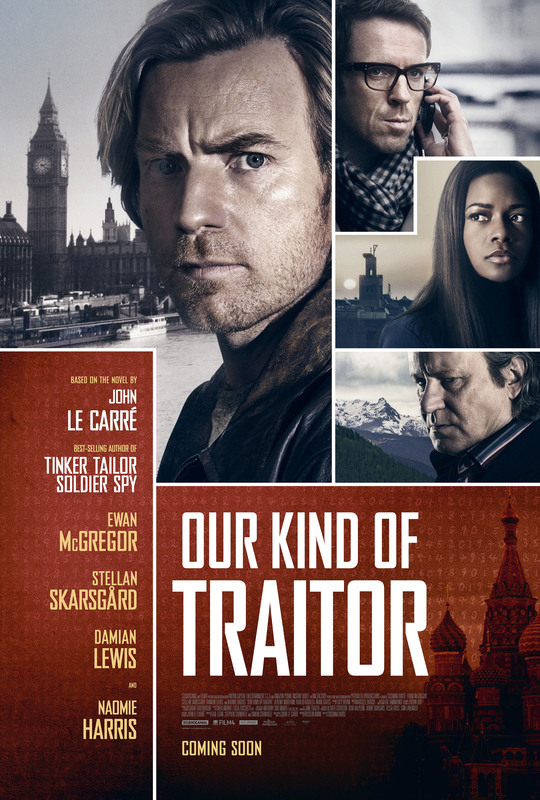 Our Kind of Traitor was a decent thriller that ends in cliché country. But for a while there, it is a good ride. It was 30 years ago that Darth Vader was defeated and the Empire fell. 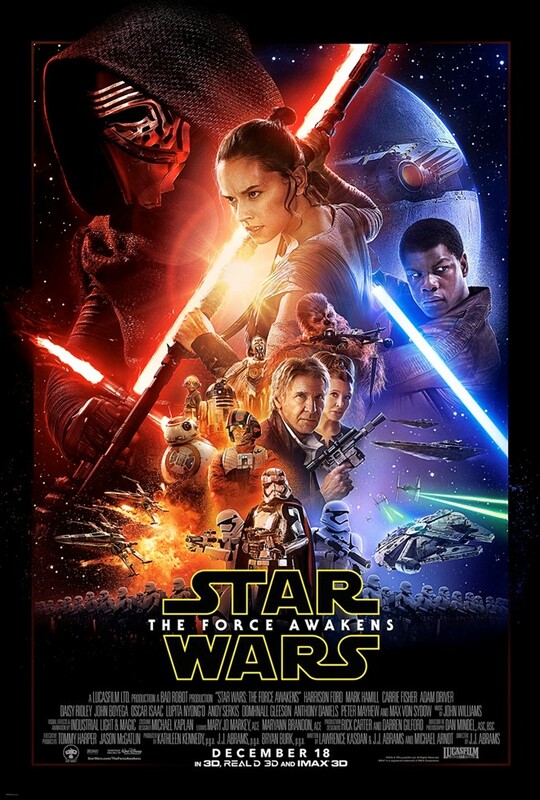 And it’s about as long that Luke Skywalker (Mark Hamill) has disappeared from the Galaxy. The Resistance is still looking for him. Pilot Poe Dameron (Oscar Isaac) is hot on the trail of a missing map piece for that search when he comes under attack. He hands the map to his droid BB-8 and sends it on its way. Rey (Daisy Ridley) works as a scavenger on that very same planet and she stumbles first on BB-8 and then on a stormtrooper (John Boyega) who deserted. Before they have a chance to think, they are on the run – and run straight into Han Solo (Harrison Ford) and Chewbacca (Peter Mayhew). Together they decide to try to find Luke. I’ll come right out and say it: I’m not a Star Wars fan. I watched Episodes 4 through 6 when I was a kid and thought they were okay, watched Episode 1 when it came out and thought it was so stupid, I never even watched 2 and 3. When 7 came out, I hesitated for a while to watch it, but ultimately I figured why not? I have watched films for less reason than the cast of this one alone. And I have to say, I don’t regret watching it. In many ways it has the IQ of a potato, but it is seriously entertaining and very nice to watch. Charlie Mortdecai (Johnny Depp) is an art dealer not entirely against shady dealings, at least as long as he’s protected by his man servant Jock (Paul Bettany). Recently, Charlie and his wife Joanna (Gwyneth Paltrow) have fallen into debt, so when MI5 agent Alistair Martland (Ewan McGregor) asks Charlie for help with a case, Charlie accepts in the hope of making some money and despite the fact that Alistair has been in love with Joanna for years and therefore has it out for Charlie himself. Quickly Charlie finds out that the case might not be as straightforward a murder and theft as it seems at first. I saw Mortdecai right after The Imitation Game and before Mortdecai I would have thought that The Imitation Game would turn out to be the worst film of the night. I was wrong. 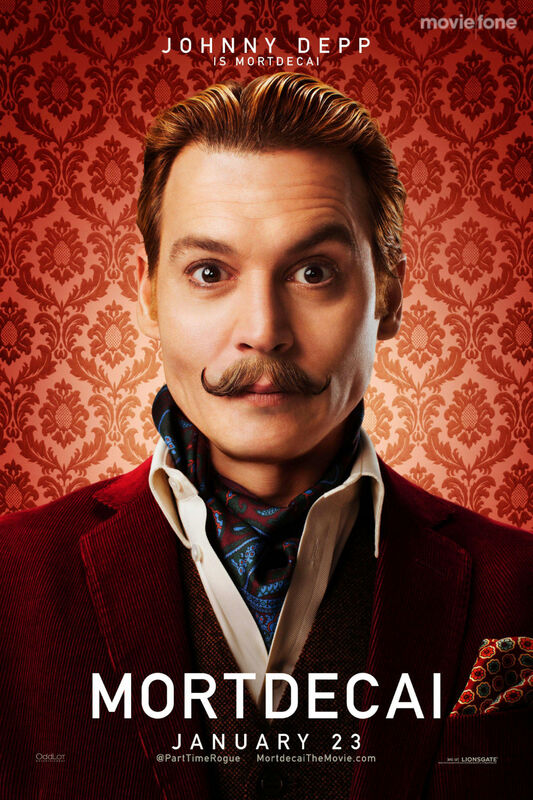 I didn’t expect much from Mortdecai, but even those expectations were too high. When their father (Sam Shepard) dies, Barbara (Julia Roberts), Ivy (Julianne Nicholson) and Karen (Juliette Lewis) all gather home with their mother Violet (Meryl Streep). Everyone comes with their baggage: Barbara and her husband Bill (Ewan McGregor) are separated but haven’t told their family and their daughter Jean (Abigail Breslin) doesn’t deal very well. Ivy has a secret lover. Karen brings home her newest fiancé (Dermot Mulroney). And Violet, a mean-spirited pill-addict, likes to stir things up. 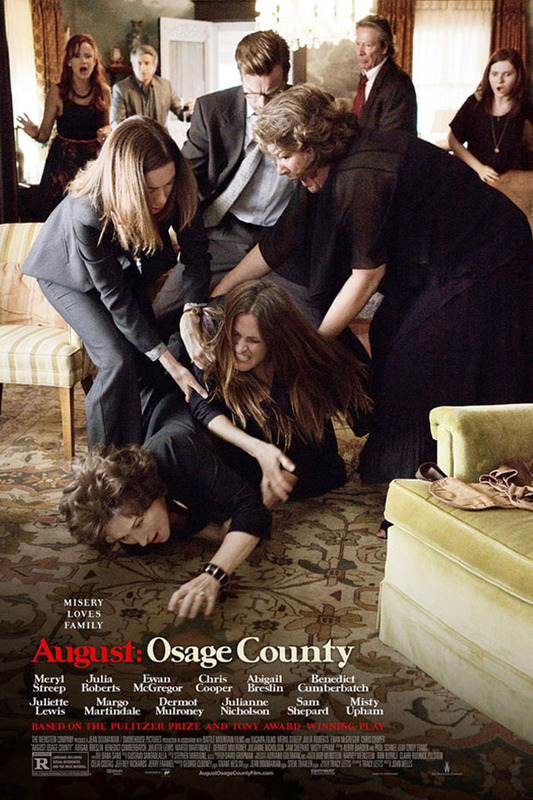 August: Osage County isn’t always easy to watch but it is always well-acted and engaging. Toward the end I thought that it got a little much but altogether it was a really good film. Jack (Nicholas Hoult) has always dreamed of giants, but his life is stuck more in reality. That is until he stumbles upon Princess Isabelle (Eleanor Tomlinson) and her knight protector (Ewan McGregor) at a play and saves her, then trades in his horse for a few magic beans and then Isabelle – who has been promised to the shady Roderick (Stanley Tucci) – shows up alone on his doorstep, looking for adventure. And suddenly Jack finds himself with his hands more than full, a magic beanstalk leading to the giants’ country in his garden and a mission to save the princess. 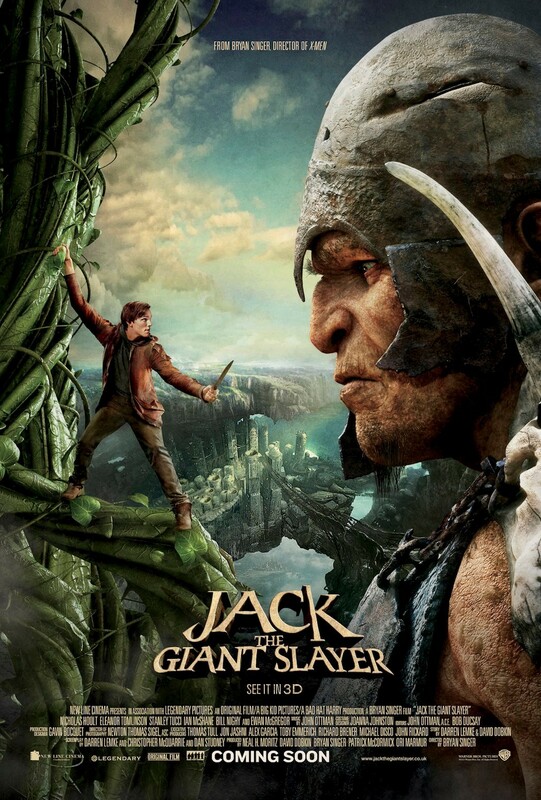 Jack the Giant Slayer is a movie of almosts. It is almost smart in the way it adapts the tale. Isabelle is almost an actual character. Nicholas Hoult almost actually acts. Ewan McGregor and Stanley Tucci are almost enough to make this movie worthwhile. But in the end, it just falls short of everything. I'm open to Screener reviews, conversations and a whole lot more. Just drop me a line at kalafudra (at) gmail (dot) com! You can also find me on tumblr and instagram! There's also a feed for this blog on tumblr, if that's your preferred method of keeping up with things.